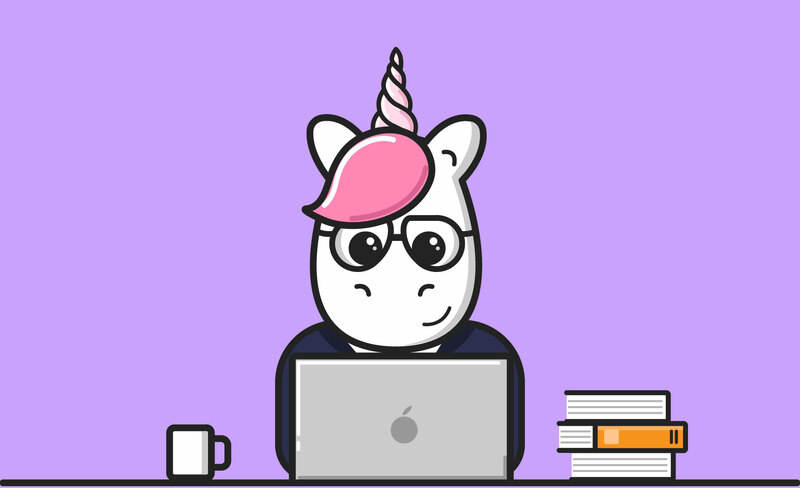 The day-to-day experience of developers varies a lot among different industries. To learn more about developers working in the banking industry, OfferZen talked to Shabhana Thaver - Investec’s Head of Group Risk IT. Shabhana has been with Investec for nine years and has worked in various roles throughout the bank: as a developer, tech-lead, solutions architect and testing engineer. Each of these business units is led by a Head of IT - a role similar to Shabhana’s. As a developer who has worked in a variety of roles at Investec, Shabhana understands that this specific structuring of the development team has advantages but also potential disadvantages for developers. For Shabhana, one of the strengths of the developers’ integration into the core of the business is this: it provides each business unit with a development team that is fully aligned with its specific business strategy. This means that development is not a separate and secluded function of the bank, but rather continuously included in the decision making process. That way, developers are able to cultivate specialist skills both on a technical and business level. Furthermore, they host regular events for developers, such as hackathons and Big Impact Days (discussed below) that stimulate and encourage collaboration across teams. Within the different business units, the structure of a team is dependent on its function. Therefore the specifics of the setup differ from team to team. As an example, Shabhana explained the structure and processes of her team - Group Risk IT. Group Risk IT organises its 21 developers into four product development teams headed by four technical leads. Each of these dev-teams forms part of a larger delivery team which is responsible for delivering domain specific features and solutions. The delivery team also includes business analysts and testers. When required, a domain specific delivery team will cooperate with other delivery teams within Group Risk IT (vertical cross-team collaboration) or with delivery teams from other business units (horizontal cross-divisional collaboration). Depending on the size of the feature, the development of a feature then happens in 2-3 week sprints. Group Risk IT’s four development teams mainly have internal customers - that is, the business units within Investec that are responsible for Credit decisioning. This includes Corporate and Institutional Banking, Private Banking and Group Credit. Shabhana’s teams are responsible for enabling these units to make informed credit decisions through the technology platforms developed. The core technology used by the Group Risk IT teams include Java, Angular, Spring Boot, Hibernate, Drools and Swagger. Hackathons and Big Impact Days are two events regularly hosted across all of Investec’s business units. According to Shabhana, these events serve to foster the spirit of collaboration, out of the box thinking, innovation, and fast-to-market ideas that are characteristic of Investec. “The vibe, atmosphere and energy during these events are really astounding and teams are fantastically competitive,” she says. At the 24 hour hackathons, teams compete at building successful strategic solutions that can actually be used within the bank. “To turn an idea into an invention is really hard, but at these events people dedicate themselves to it,” Shabhana says. Big Impact Days are similar to hackathons, but smaller in scale. Over and above the opportunity to work on new inventions, they also provide teams with the space to increase their rate of delivery. Examples of inventions that resulted from Investec’s 24 hour Hackathon event are Call Line ID & Click-to-Dial and Touch to Give - successful solutions developed that were taken live soon after the event. With regards to Call Line ID & Click-to-Dial, Investec developers built their own softphone as well as the ability to automatically identify clients by the telephone number they are calling in on. “Both of these features add efficiency, accuracy and improved client experience within the Client Support Center,” Shabhana says. Touch to Give is a crowdfunding platform for Investec-approved charities. It was built by a multi-disciplined team comprising the technology, marketing and corporate social investment team and is a simple and tax-effective way for clients to make once-off donations. In addition, it was recently used to raise close to R1m for the Knysna and Cape Town disaster relief fund. 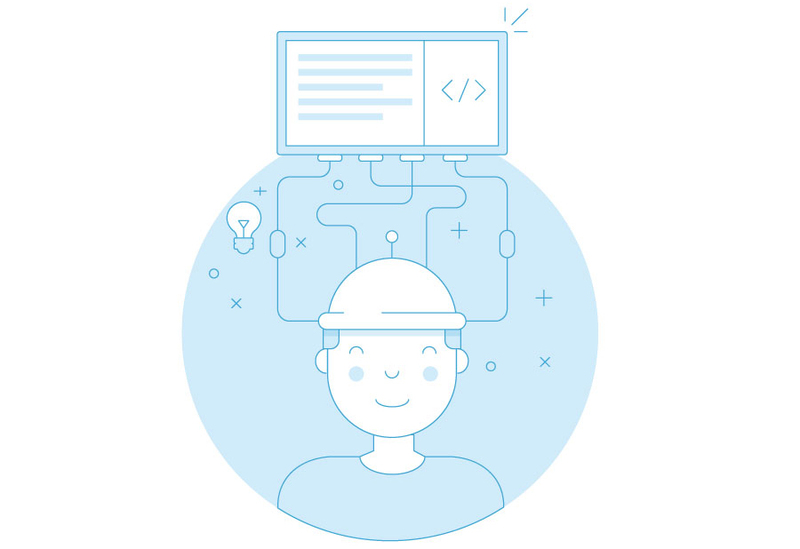 The developer bootcamp is a 6 month program to establish the concept of software craftsmanship and continuous improvement in developer teams across the bank. 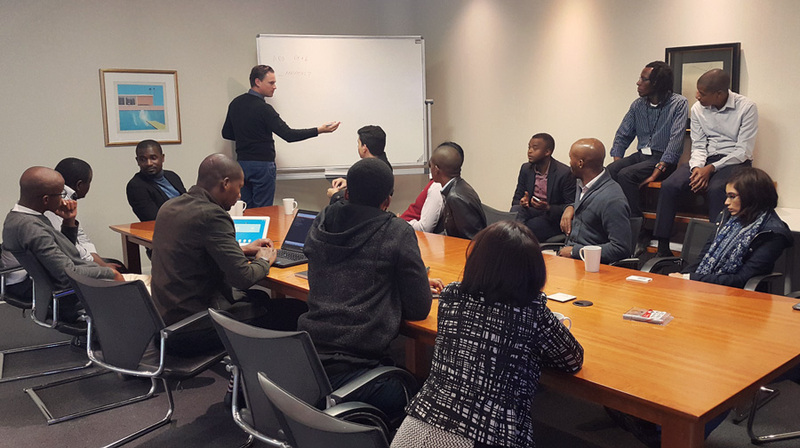 During the program, developers read and discuss two books (Clean Code and The Software Craftsman), complete a code kata, attend community meetups outside Investec and provide feedback to the group, learn a new programming language and complete an online course together. Graduate programs provide participants with the challenge of solving an existing problem statement (or a different problem) through new technological innovations or existing software within the bank. Investec has also been sending a number of developers to the annual QCon Technology Conference in London over the last few years. Investec is hiring on OfferZen. Click here to sign up.